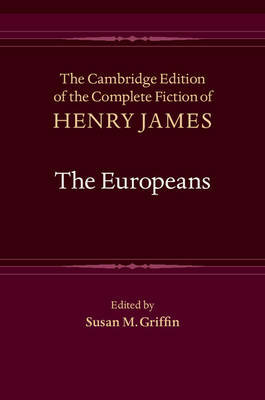 Author(s) James, Henry; Griffin, Susan M.
The Cambridge Edition of the Complete Fiction of Henry James provides, for the first time, a scholarly edition of a major writer whose work continues to be read, quoted, adapted and studied. James's The Europeans gently satirizes both early nineteenth-century New England society and the sophisticated visiting Europeans who encounter it. While this wryly comic novel has had its critical champions - F. R. Leavis and Richard Poirier among them - it has not previously received the scholarly attention it deserves. This edition, based on the work's first book appearance (Macmillan, 1878), reconstructs the novel's literary, cultural and historical contexts, provides extensive annotation, and gives a detailed textual history of the work, drawing on newly available James letters. It will be of interest to James scholars, book historians and students of nineteenth-century Anglo-American literature and culture, and will also re-introduce readers to the pleasures of Henry James's early style.